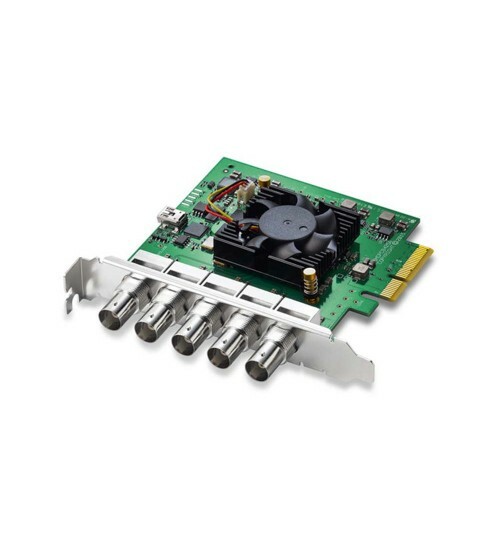 With four bi-directional SDI interfaces, the Blackmagic Design DeckLink Duo 2 is a versatile video I/O card for professional video workflows. Since each SDI interface can be configured to be either an input or an output, a computer with this card installed can be purposed as a media play-out system, a multi-screen digital signage server, a live keyer, a real-time multi-channel capture system, or a combination of the above to fit your specific workflow of the moment. A reference input is also available for syncing with other studio equipment. · HD Down Conversion: Built-in, high quality software down converter from HD to SD on output. Down converted SD selectable between letterbox, anamorphic 16:9 and center cut 4:3 styles.